Beam video at end of articles. At 1:00 a.m., Elias Kolev, a member of Visión OVNI, called me by phone to inform me of the spectacular UFO sighting taking place in Rosario. 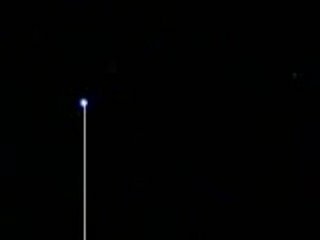 It reconfirmed what I presented earlier this week with the light that shoots beams against the surface, and it occured at the same exact spot. 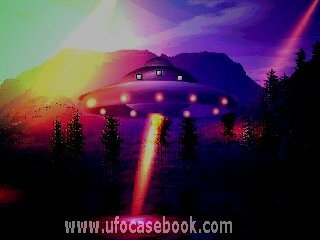 On this instance, however, three (3) UFOs were seen. "Good morning! I don't even know how to explain it -- yesterday, or rather today in the early morning (31 January, 1 a.m. approximately) we were driving along with two friends and people suddenly began getting out of their cars, leaving doors open and engines running, pointing skyward. It looked like a scene out of a Martian Invasion moive. This occured near the Alto Rosario shopping center. I don't know what it was, but it moved up and down while gyrating on its own axis; white lights were clearly visible and its shape could even be made out. It maneuvered for approximately half an hour before going away and vanishing suddenly. "It left all of us with a very strange sensation that I can't explain, and then there were several details that drew our attention, such as ALL of the traffic lights turning red in unison, in other words, no street or lane could move. When we took out our cellphones, the screens went gray and turned off. When we turned them on again, the batteries had practically drained out. I have no idea what it was, but it was something odd in our skies, without question...I'd be delighted if you could tell me something more about it...many thanks." 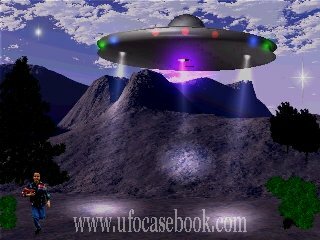 Date; 02.03.09-Residents of Rosario became witnesses to further UFO activity on the evening of January 30 and the early morning hours of the 31st. Initial eyewitness accounts describe lights seen at 23:30 hs. over the facilities of the Alto Rosario Shopping Center located between Av. del Valle and Blvd. Avellaneda.